2019 marks 100 years since the Winnipeg General Strike. WAHC is commemorating this pivotal historical event through a series of programming. We hope you’ll join us! 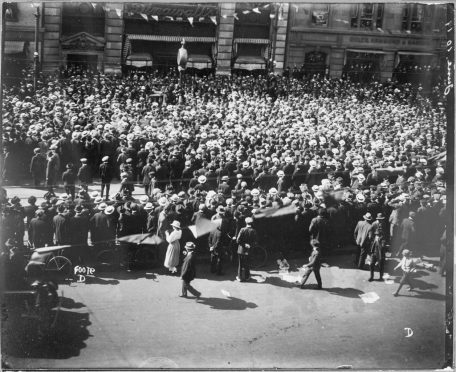 The Winnipeg General Strike was one of the most dramatic and best known events in Canada’s post-Confederation history. 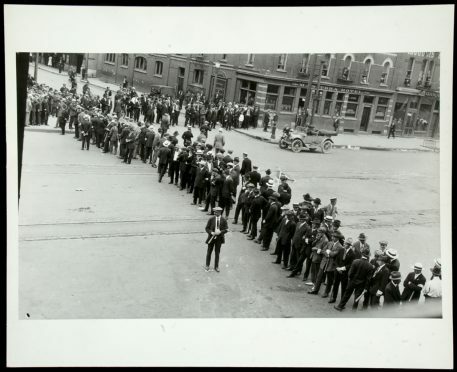 Workers went on strike in Winnipeg on May 15, 1919 when some 35,000 men, women and children walked off the job to demand better wages and the right to collective bargaining. It culminated in ‘Bloody Saturday’ on June 21, when state representatives killed two protestors, wounded 34 others and arrested 84 people. It was called off on June 25. 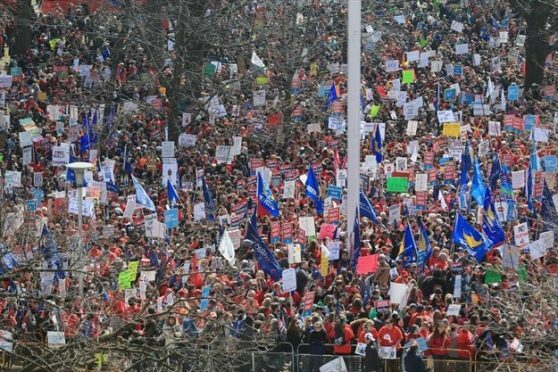 WAHC offers a series of programming that asks questions about the Strike: what happened? what was gained? what is its legacy today? whose voices were heard, and whose were excluded? what were the costs? We invite you to participate and bring your own questions. We look forward to seeing you! All events are free and take place at WAHC unless otherwise noted. This May Day, we launch our Winnipeg General Strike commemorative program by screening two documentaries, Bloody Saturday: The Winnipeg General Strike (CBC, 2007, 45 min) and On Strike: The Winnipeg General Strike (NFB, 1991, 19 min). We will introduce the context for the strike before the screening. Archiving Unrest exhibition critically reflects on democratic forms of unrest and assembly, while considering the influence that records and archives of these collective actions have on the ways in which we understand and value these events. Reading Groups, by Michael DiRisio as part of Archiving Unrest, is a large, modular structure, that houses and displays books on groups and gatherings, with places to sit, inviting visitors to sit and read. This structure will serve as a catalyst for the broader Reading Groups series of reading groups that will discuss texts that consider group dynamics and collaborative practices, mass mobilizing, contemporary protest and public space. Facilitators include Michael DiRisio, Luis Jacob, Hamilton Perambulatory Unit, Syrus Marcus Ware, Sherri Vansickle, Anthony Marco, Alejandro Tamayo, Steacy Easton. Pre-selected texts will be made available in the structure during the exhibition and online. 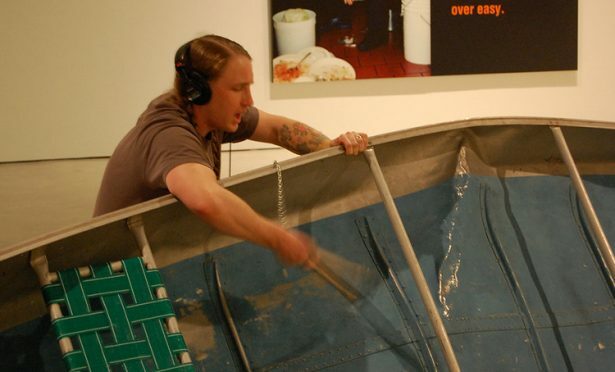 Join visual artists Michael DiRisio and Dylan Miner discussing the role arts institutions play in critical mass uprisings and civil unrest both in contemporary society and historically. WAHC, in partnership with Centre 3, will be hosting an arts residency for Dylan Miner. Miner will be working on a printing project of historical printing blocks from the graphic history of the IWW, towards an exhibition at WAHC in early 2020. Dylan will be participating in a number of public engagement activities during his residency. For more information on any of these programs, click on the event page, or feel free to call 905-522-3003 x 29. There are lots of events commemorating the Winnipeg General Strike: in Winnipeg, in Alberta, in Vancouver, in Ottawa and in Toronto! WAHC is grateful to the many union supporters and public funders who make our programming possible! *With thanks to the book 1919: A Graphic History of the Winnipeg General Strike by the Graphic History Collective and David Lester. Some of the text about the Winnipeg General Strike borrows from this book.